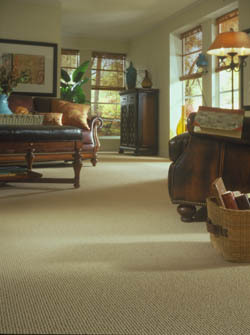 Feel lush carpet under your toes by visiting the flooring experts at our reputable carpet store. As one of the premier carpet stores in Worcester, MA, you can count on our knowledgeable staff to find and install the perfect carpet for your home or business. We carry superior brand name carpeting such as Resista, Floorcraft, and Downs so you know you are getting durable, high-quality flooring. Our professionals help you through the entire carpet installation process. We begin by assessing your specific needs and your personal style to help you choose the right color, style, and texture of your residential or commercial carpet. Come explore our inventory and schedule a consultation with one of our staff members to get started on your flooring transformation. Count on our carpet store to keep all your needs in mind—including your budget. Because we have hundreds of stores across the country, we are able to control our carpet prices. We buy quality carpeting from our manufacturers in large enough quantities to get savings, and then we pass those savings on to you. This means you can get the residential or commercial carpet you want at a price that’s right for you. Tired of perusing selections at several different carpet stores and still not finding flooring you love? Our store is different. Whether you want sturdy carpet to cover a whole office building or plush area rugs to help reduce fall risks in your bathroom or kitchen, you can find it at our flooring store. Once you choose the style and color that you like best, our carpet installation professionals use installation techniques to ensure your carpet lasts longer throughout the years ahead. All our work is backed by our 100% satisfaction guarantee. We know you’ll love your new flooring, but if for some reason you don’t—whether because you want a different type of carpet or different flooring material entirely—we will do a complete reinstallation of the flooring of your choice. Make your workplace more harmonious by trusting us for your flooring needs. Carpet is a popular choice for offices and other businesses, and that has a lot to do with its many benefits. It provides a safe level of friction which reduced the risk of slips and falls. Not only that, but it offers insulation of both energy and sound. Our commercial carpet acts as additional insulation in your building, which allows you to cut down on your energy costs. Additionally, it provides for great acoustics that diminish the ambient office noises so your employees can concentrate better. Trust our professionals to mix function and beauty when helping you select carpets for your home or business. If you are completely satisfied with your hardwood or tile floors, but you want to soften the area up, choosing a quality area rug may be all you need. Alternatively, if you need the benefits only full-coverage carpeting can provide, we work hard to find the flooring that best matches your style and functional requirements. Whether you are looking for area rugs, whole room, or multi-room carpeting, our carpet installation staff will help you find the flooring of your dreams. Contact us today to learn more about our carpet flooring products and services. We proudly serve customers in and around Worcester, Massachusetts.